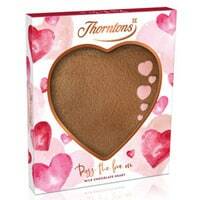 Hurry up and get yourself a free personalised Thorntons Chocolate Heart. Follow our link and click on Use Now button to generate your unique code and use this code to get this freebie. Click on “GET IT HERE” button to visit O2 Priority website and generate your code and show it to nearest Thorntons counter to claim this freebie. This offer is only for O2 customers.